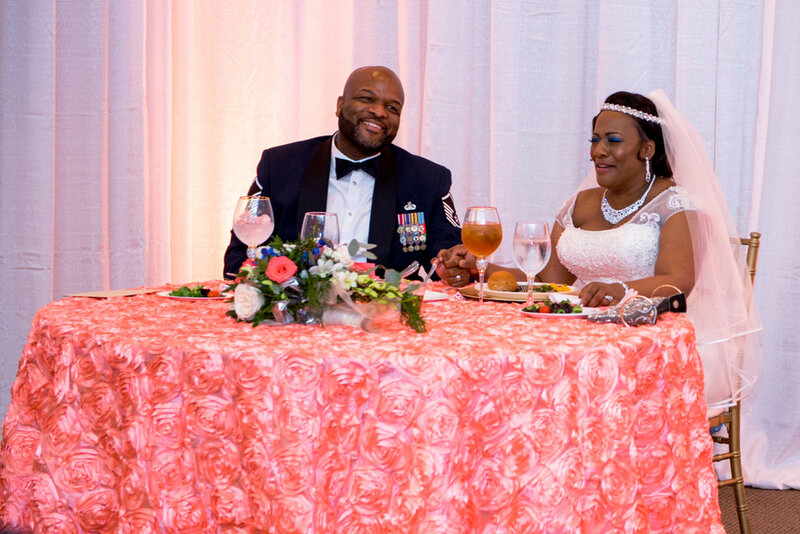 Exchanging vows on an unusually warm winter's day was the culmination of years of love and dedication for Dedra and Kelvin. 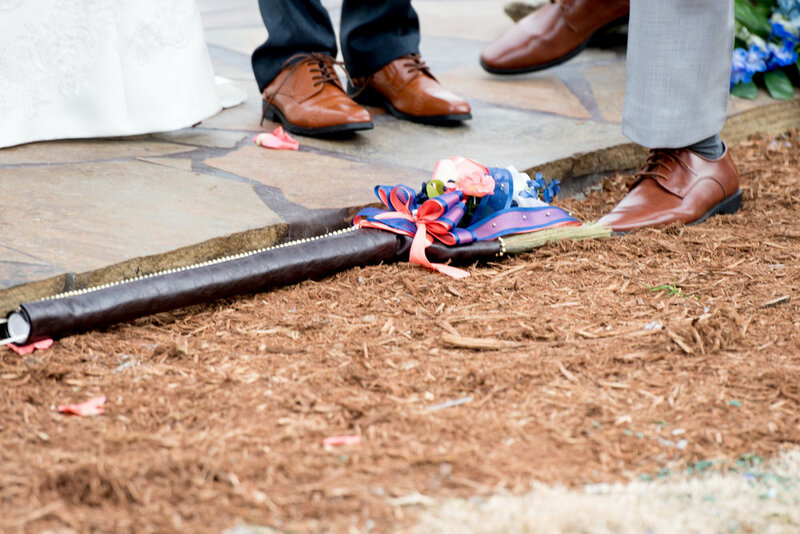 These two high school sweethearts planned a long distance ceremony and reception with the help of their talented South Carolina-based vendor team, and tied the knot (and jumped the broom!) on a balmy December day surrounded by friends and family. 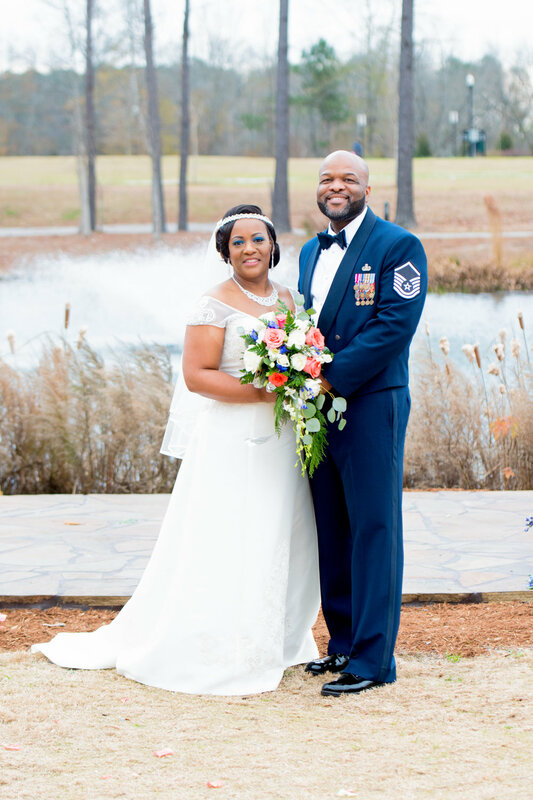 Their lake wedding at Doko Manor in Blythewood, South Carolina, was accented by their blue and peach color scheme, which went beautifully with the surroundings. 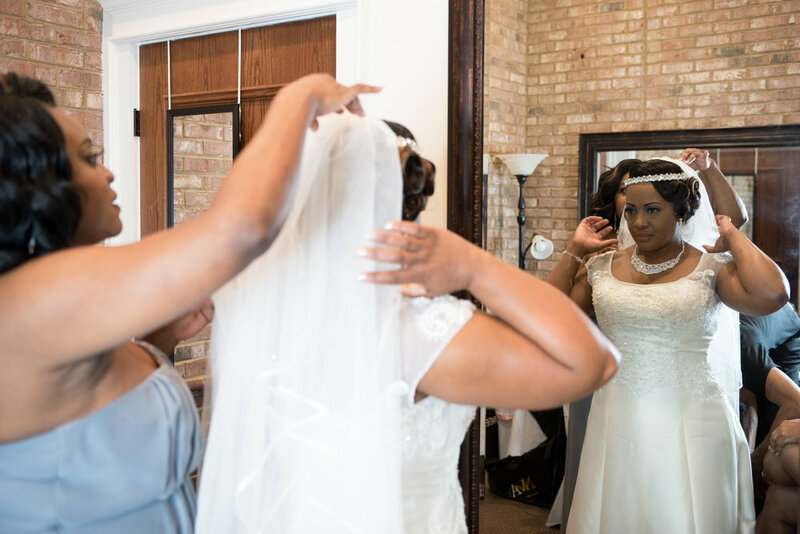 Photographer Tiffany Douglas from Sunshine's Images was on hand to capture the start of Dedra and Kelvin's married life. That's how long Dedra and Kelvin have known one another. It all began with a love note passed between the two during high school and spun across the decades as their relationship grew. In fact, the man who married the couple was the same person who passed along their initial love letter in high school! Their wedding celebrated all of that shared history--and the fun times to come--in an event that was orchestrated by the couple down to every detail. The wait to the alter was worth it for this couple, who relished every moment of their fairytale day. "Our wedding was elegant, romantic and classically beautiful. It was an amazing day full of love and happiness," remembers bride Dedra. Even though they planned a long distance wedding, Dedra and Kelvin were involved in the planning at every stage. 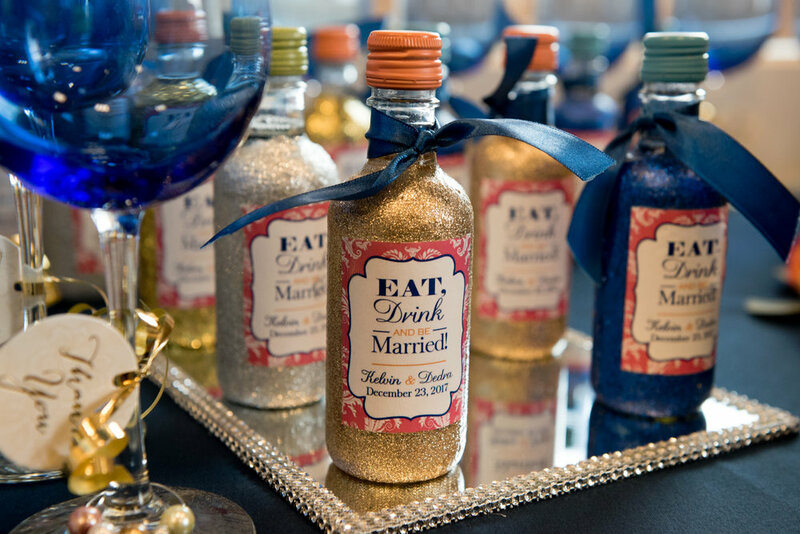 Dedra explains that they wanted an event that "[had] a fairy tale inspired vibe with a twist of modern styles that would be absolutely breathtaking." To accomplish this vision, they chose Doko Manor, an event venue with a picture perfect lake that would help fulfill their desire to have an elegant, polished wedding. 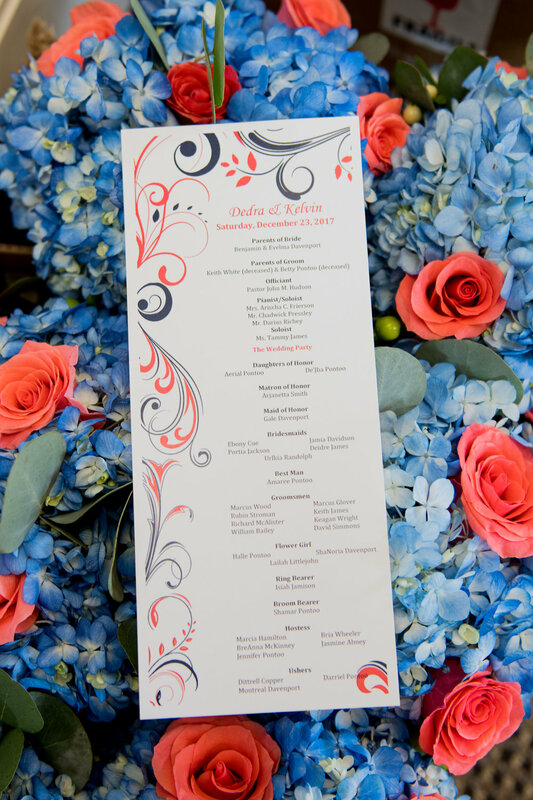 They chose their favorite colors to complement the venue and used that color scheme to tie together all of the elements of the wedding. 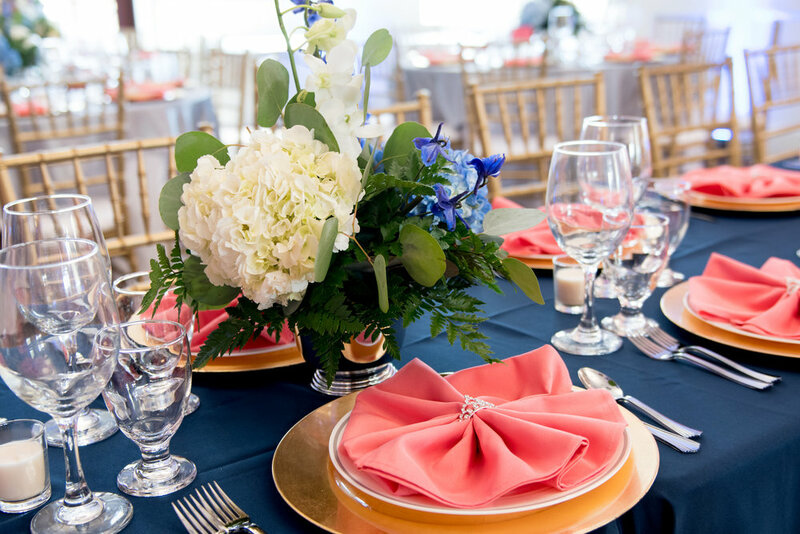 The peach and blue popped in their bouquets, dresses, table settings, and decorations for a fun and fabulous fête for their guests. When you're planning a long distance wedding as Kelvin and Dedra did, it's important to have a good rapport with your vendors. Kelvin was in charge of finding their wedding photographer and was referred to Tiffany Douglas through mutual friends. Their planning was all done by phone and email, which meant that the couples first meeting with their photographer was on the morning of their wedding. "On the wedding day, even though this was our first time meeting, everyone welcomed my husband and I as if we were a part of the family!" remembers photographer Tiffany. The connection between the clients and their photographer meant that Tiffany was able to jump right in and join the fun. Tiffany had been hoping that the weather would cooperate so the couple's wedding could be lakeside, but December weather in South Carolina is notoriously fickle. "At the last minute, my prayers were answered! There ceremony was moved outside and you could just feel the love between the two of them, which makes for even better photographs," Tiffany remembers. The couple got along so well with Tiffany that they are planning a reunion when they're back in the state for an anniversary session.